These miniaturized caricature versions of Marvel heroes are durable and adorable! 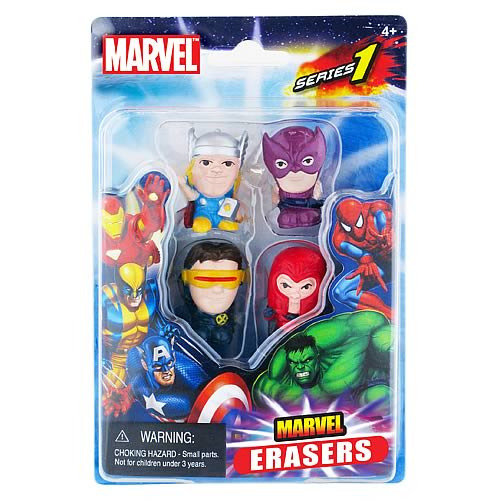 Designed to fit on the tops of pencils, the Marvel Universe Erasers are a must-have for any collector. Set D includes Thor, Hawkeye, Cyclops, and Magneto; they all look so cute when their heads are twice the size of their bodies. They're 1-inch tall miniaturized superhero caricatures at their best! Ages 4 and up.